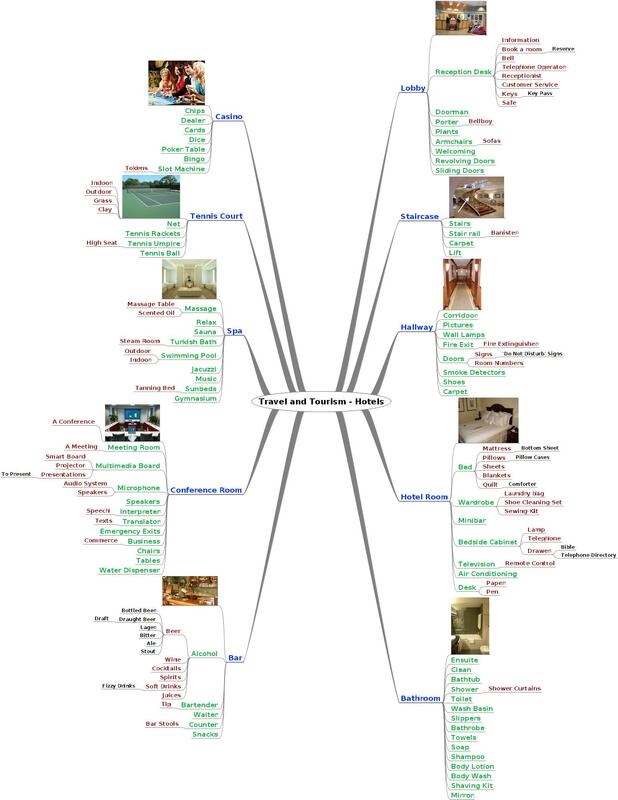 Hotel Mind Map .mm File. That’s a fantastic website with some great job done. However, the dropbox links are broken and I cannot DL the editable .mm file. Could you send it to me? Thanks for the comment this is my old blog, and all the files have since been moved. I will try and dig it out for you. My ‘new’ blog, which is aimed my younger learners is at http://www.CreativelyEnglish.wordpress.com. Please note, you may not find anything of interest there. Thanks for your quick answer. If it’s not asking too much, could you send me the .mm files and the worksheets related to all the mind maps on Travel and Tourism? I’m an English teacher at a Vocational Center and in my Lodgment Management classes these Mind Maps are going to be REALLY useful.